Malayalam TV host and Actress Jewel Mary married Jenson Zachariah on 11 April 2015. The traditional christian wedding ceremony was held at a Church in Changanassery, native placee of Jenson . The marriage fand reception was attended by close friend and relatives only. Jenson Zachariah is the program director of Onnum Onnum Moonu show on Mazhavil Manorama. 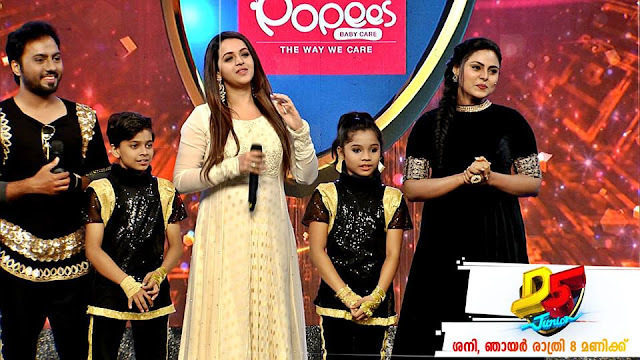 Jewel Mary became very popular anchor through Idea D for Dance on Mazhavil Manorama. Their love blossomed when Jewel was working for D4dance show. Jewel took a break from D4dance to act with Mamootty in malayalam Movie 'Pathemari' directed by Salim Ahmad. This movie is nearing its completion. Jewel and Jenson got engaged 5 April 2015. The betrothal was solemnised in a church in Cochin. Vinodadarshan.com wish the couple a very happy and blessed married life.